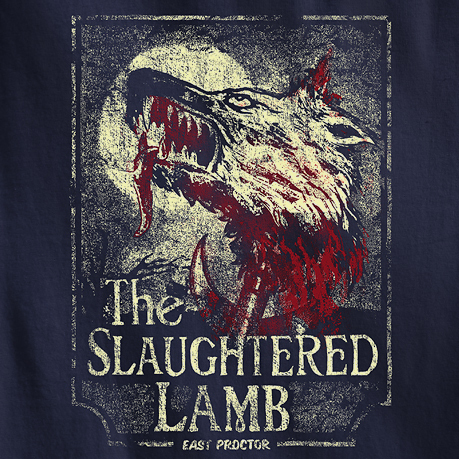 We’ve tweaked our ‘The Slaughtered Lamb’ T-shirt design slightly and also included the ‘East Proctor’ reference, which is of course the fictional setting from the film An American Werewolf in London. This T-shirt is now available in a darker navy colour. Click on the image for further information.